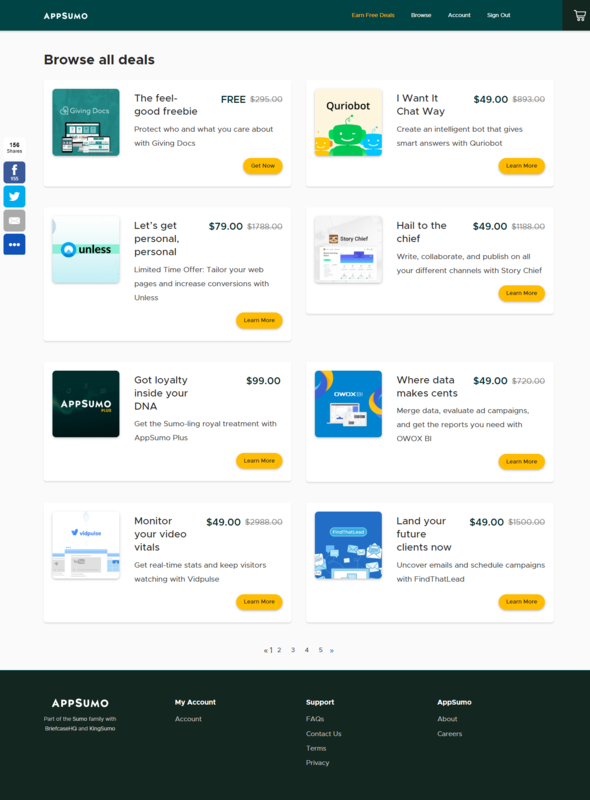 Often called the “Groupon for entrepreneurs”, AppSumo is a service that offers lifetime deals on professional apps that would normally cost you an arm and a leg per month. New deals are added throughout the month and licenses are limited for each deal. This means you have to act fast if you want to take advantage of the bargains. Some very popular companies like Cloudapp and Evernote have been listed on AppSumo. Redeem to see the latest deals from their website.